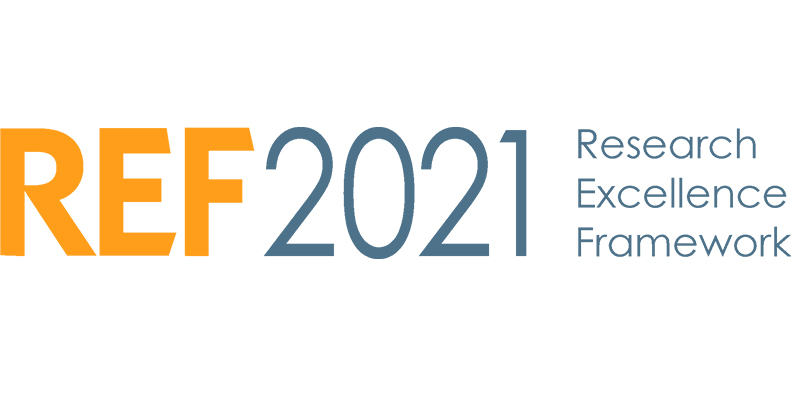 This month we are conducting an internal peer review of our potential impact case studies in preparation for REF2021. Twenty of these will subsequently be selected for external peer review in June. Each Unit of Assessment (UoA) team has been asked to assign at least two reviewers to each impact case study (1 x Lead reviewer from the same UoA, 1 x Associate reviewer from a different UoA and, optionally, 1 x Non-academic reviewer [industry partner or similar]). Reviewers have been given 4 weeks to look over the case studies and provide their feedback on a review sheet covering each of the 5 main areas in the impact case study (Summary of the impact; Underpinning research; References to the research; Details of the impact; Sources to corroborate the impact). • an area that is well developed and on track for submission (green). potential for submission of the case study to REF2021. Feedback will be provided to the case study leads during May 2019. This process will help inform decision-making within each UoA and will also identify where there is a need to focus resource for the final year of the REF process. What does this mean for impact? ther locally, regionally, nationally or internationally. UoA Leads/Deputies are therefore encouraged to look closely at the panel guidance for their particular panel when reviewing impact case study drafts. • Each submission must include impact case studies (REF3 template) describing specific impacts that have occurred during the assessment period (1 August 2013 to 31 July 2020) that were underpinned by excellent research undertaken in the submitted unit. The underpinning research must have been produced by the submitting HEI during the period 1 January 2000 to 31 December 2020. • This may include, for example, impacts at an early stage, or impacts that may have started prior to 1 August 2013 but continued into the period 1 August 2013 to 31 July 2020. Case studies will be assessed in terms of the reach and significance of the impact that occurred only during the period 1 August 2013 to 31 July 2020, and not in terms of any impact prior to this period or potential future or anticipated impact after this period. • When writing case studies, submitting units should refer to the guidelines for presenting quantitative data set out in the ‘Guidelines for standardising quantitative indicators of impact within REF case studies’. These guidelines have been developed to enable more consistent presentation of quantitative evidence in case studies. This document (and a summary thereof) can be found separately at www.salford.ac.uk/ref under Impact Evidence Collection. • More than one submitted unit (within the same HEI and/or in different HEIs) may include the same impact within their respective case studies, so long as each submitted unit produced excellent research that made a distinct and material contribution to the impact. In such cases, units may provide common descriptions of the impact arising, where they so wish. 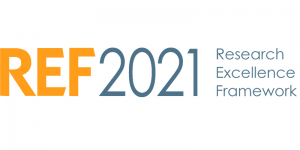 • Impact case studies continued from examples submitted in 2014 will be eligible for submission in REF 2021 as long as they meet the 2021 eligibility criteria, including the length of the window for underpinning research and the assessment period for the impact described. Go to www.salford.ac.uk/ref to check out all the REF guidance and more. The University of Salford, alongside partner institutions Manchester Metropolitan University and the University of Manchester, are running over 30 events across Manchester and Salford as part of this year’s ESRC Festival of Social Science, 3-10 November 2018. The Festival showcases Manchester social science research to a broad non-academic audience. This brings together an eclectic blend of activities designed to celebrate the social sciences, including discussions and debates, exhibitions, film screenings, walkabouts, family fun days, schools visits, workshops, and lots more. Engage with teachers and young people and to raise their awareness of the social sciences. Why not come along and join in the activities? Full details of all events across the week are available at: www.esrcmanchesterfest.ac.uk. SHUSUs Dr Lisa Scullion has become the University of Salford representative for the Greater Manchester Poverty Action (GMPA) Principal Partner Scheme. GMPA coordinates networks of organisations and individuals to collectively influence policy and practice to address poverty across Greater Manchester. GMPA are keen to ensure that the GM academic institutions have the opportunity to contribute to their network, and the Principal Partners Scheme provides a platform for disseminating the excellent anti-poverty work that is being undertaken by the University of Salford. The work of SHUSU’s Dr Lisa Scullion and Dr Graeme Sherriff has featured on The Conversation in their article ‘Poverty’s Impact on Wellbeing is Hard to Ignore’ (http://theconversation.com/povertys-impact-on-well-being-is-hard-to-ignore-51378). In it they discuss the wide-ranging ways in which poverty can impact upon wellbeing, including through the cold homes, housing insecurity, unhealthy air, poor food access, and work and welfare insecurity. Their article was syndicated by Yahoo News (https://uk.news.yahoo.com/poverty-apos-impact-well-being-082046094.html?guccounter=1 ) and the World Economic Forum, (https://www.weforum.org/agenda/2018/08/reasons-why-poverty-and-lower-life-expectancy-go-hand-in-hand/).